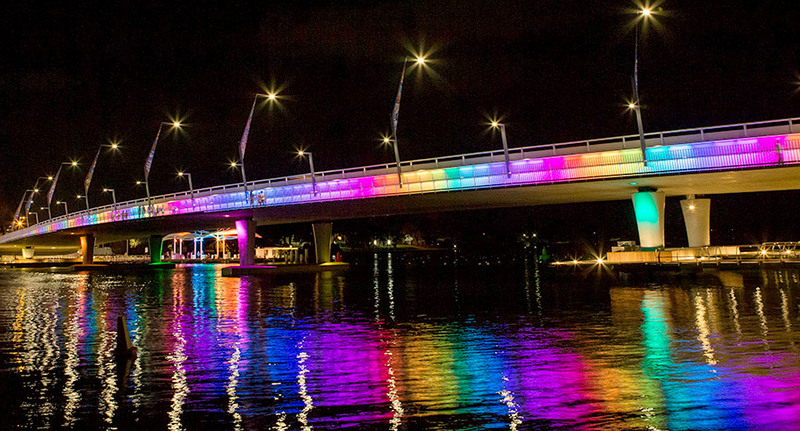 How to book the Mandurah Bridge lights for your good cause. And now your charitable or not for profit organisation can get in on the action by booking the lights for a day to help promote your organisation's special event or appeal. So far the bridge has been lit up orange for Emergency Service volunteers, blue for World Inflammatory Bowel Disease Day, and pink and teal for Sarcoma Awareness.